Many of our clients use constant contact to manage their email marketing campaigns. Constant Contact has built in tracking and listing management that allows you to monitor performance and adjust accordingly. 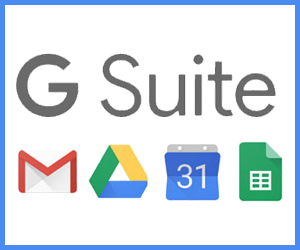 Google Suite is a comprehensive communication management system backed by Google. Google offers private label email packages that allow you to integrate your business’ domain. Some features in addition to email include Google Document sharing and Calendar Management. For those in the medical industry, Google provides a HIPAA compliant business agreement. Receive 20% Off Your First Year by Entering One of These Codes! Istock provides a comprehensive range of imagery to help you efficiently market your brand.